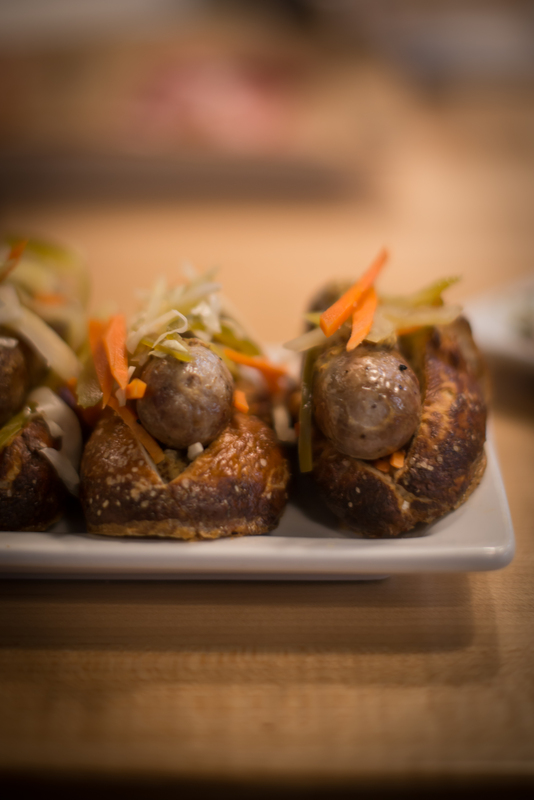 Blackbelly Market has easily become one of Boulder’s most beloved dining spots. Executive Chef Hosea Rosenberg has taken up-and-coming East Boulder by storm with his locally sourced, sustainable and organic menus that change seasonally. The newest addition to the Blackbelly family happens to be right next door and subsequently elevates Boulder’s already fortified food scene. 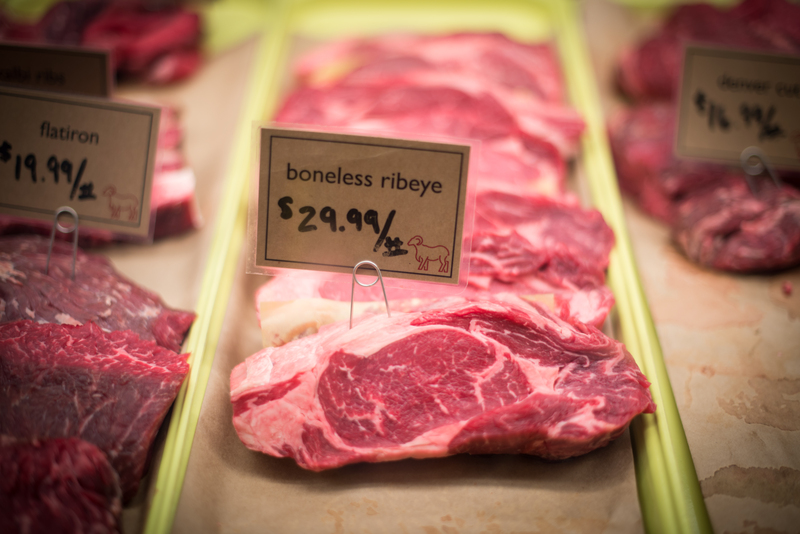 Blackbelly Butcher, run by Nate Singer, serves as a contemporary take on the old-world style of Butchery. 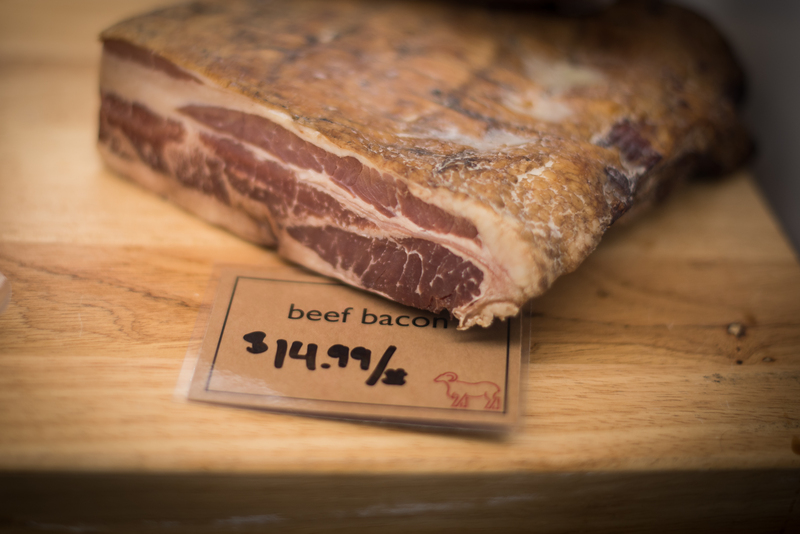 Luckily, Colorado serves as the perfect location to source many varieties of livestock, which Blackbelly prides itself in featuring in addition to promoting the use of all-natural, hormone and antibiotic-free cuts. 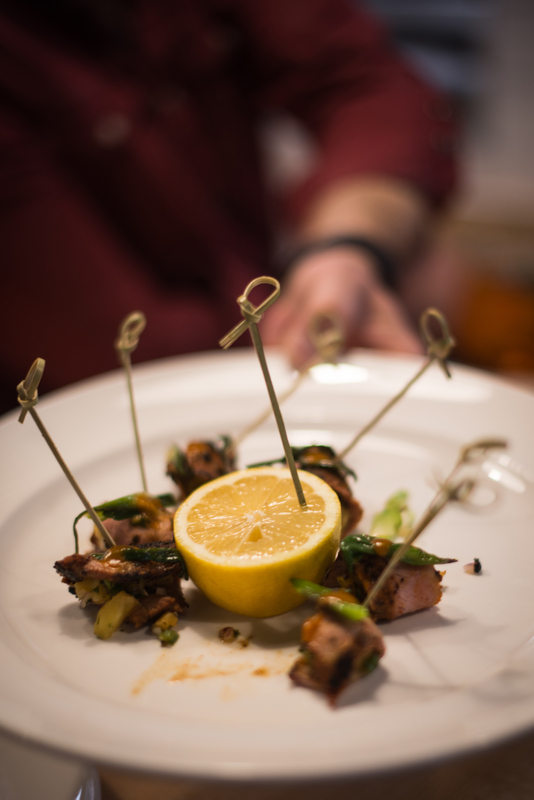 Purveyors include Boulder Lamb, Carter Country Meats and McDonald Family Farm. 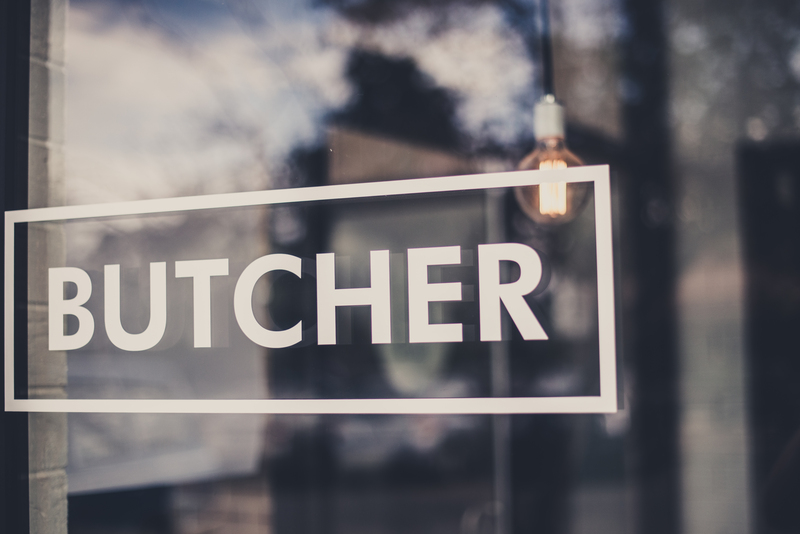 As the central hub that distributes the in-house whole animal butchery program, the Butcher provides custom cuts, terrines, fresh sausages, bacon, dry-cured meats, salami, roasted deli meats, legs of lamb, pork chops… pretty much anything your heart may desire. Blackbelly Butcher serves breakfast and lunch which you can choose to enjoy in their airy, casual dining area or you can grab-n-go from their selection of chilled, pre-made sandwiches, soups, fresh salads, terrines and sauces. Their in-house menu is decisively meat-centric, featuring sandwiches generously mounded with hams, cappicola, mortadella, Genoa salami, lamb meatballs, and much more. The menus also feature house made soups and salads that are equally as enjoyable, in addition to serving cocktails, wine and canned beers. What really sets Blackbelly apart in my mind, is their devotion to preserving the foundation of traditional butchery; pain-staking measures have been taken to produce the highest-quality product possible while maintaining a modern flair that elevates their product. Simply, every dish that I’ve tried from Blackbelly Market or Butcher has been executed with a deft hand. The traditional methods of preparation set a strong foundation upon which they take creative liberties that heighten each flavor profile. Innovation is simply flimsy without a strong understanding of tradition, which Blackbelly certainly has. I had the opportunity to attend a tasting at Blackbelly Butcher and here are some of my favorite dishes, of which there were many! -Pastor Pork with Pineapple salsa garnish and diablo sauce drizzle: By far, this was my favorite. The dish was simple and uncomplicated but the combination of flavors really shined. 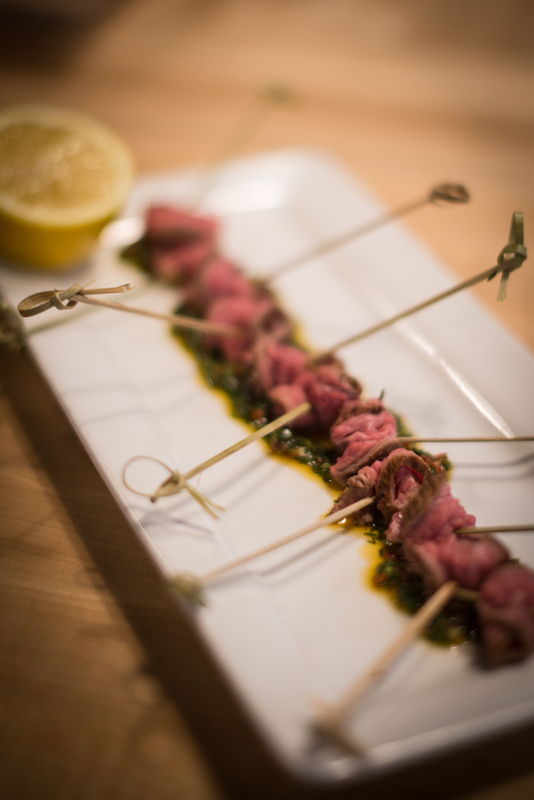 -Flank Steak with chimichurri: Tender and well prepared with a kick from the chimichurri. 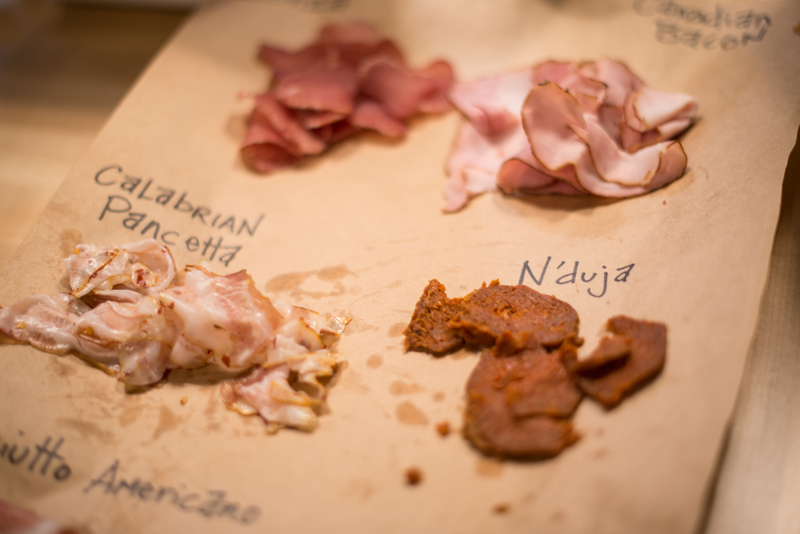 -Charcuterie Board with some amazingly nuanced flavors; The Canadian Bacon was wonderful, Calabrian Pancetta was melt in your mouth, Prosciutto Americano, Lonza which was smokey and chewy like an Italian-style jerky, and my new favorite N’duja. N’djua is a spicy spreadable salami, originating from Calabria. I can just imagine spreading this on a piece of grilled sourdough this summer; try it please! 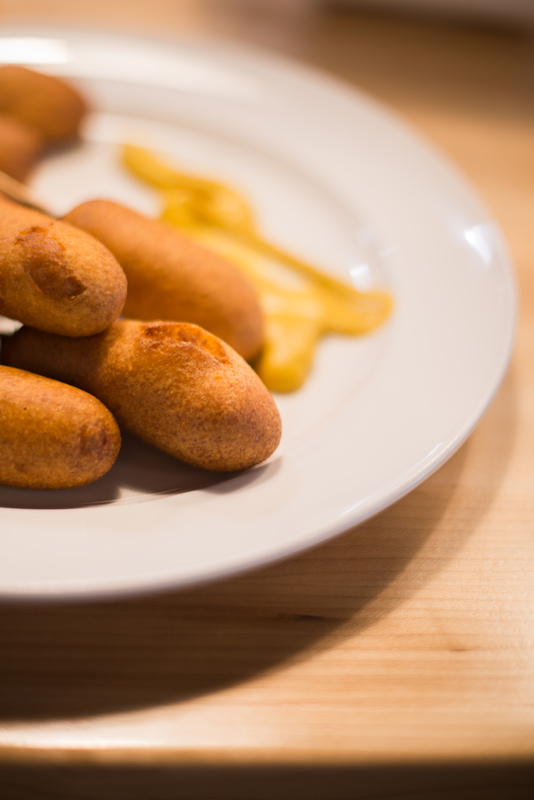 -Corndogs with house-made sausage, an elevated childhood favorite with the traditional yellow mustard! 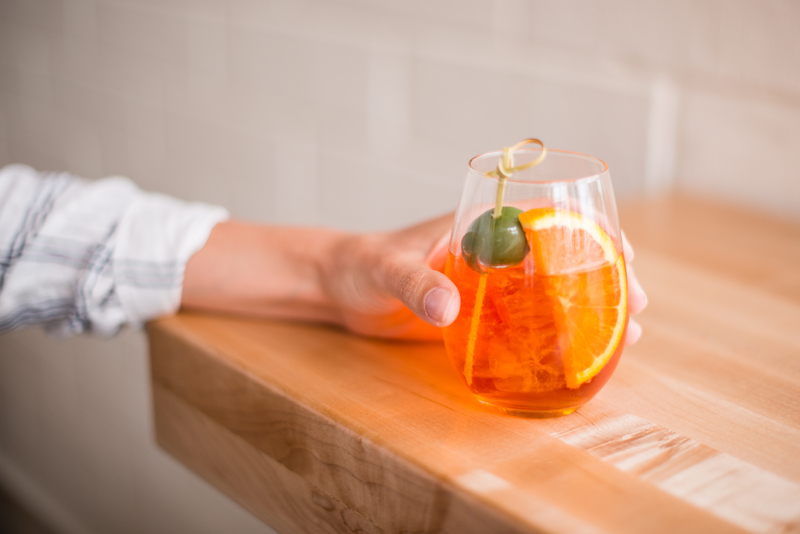 -Aperol Spritzer with an orange and The Castelvetrano Olive garnish. My guest and I both Loved this refreshing cocktail; with a subtle, fruity sweetness and underlying hint of the Aperol, we both finished ours far too quickly and Needed another. 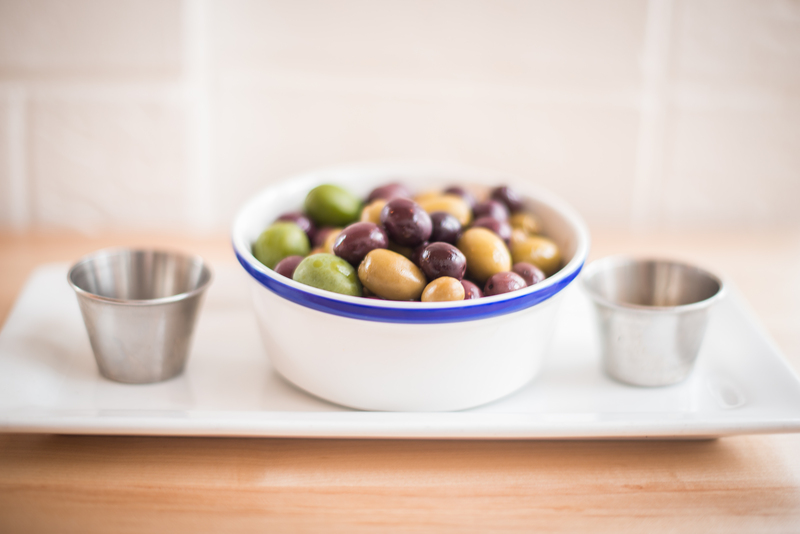 Also, as a side note, Castelvetrano Olives are absolutely my favorite of all time, also known as Nocellara del Belice, their subtly sweet flavor serves as a lovely departure from the brininess of most olive varietals. Overall, I have been really pleased by every dish I’ve ever had from Blackbelly and heartily suggest that you give both of their establishments a try. I’m so excited to see that they have opened a casual breakfast/lunch spot after much demand from Boulder’s foodies, now we can grab an amazing sandwich for a hike or picnic and know that the quality is always above par. As a Former (emphasis on former) vegetarian, I am always happy to see restaurants source locally from sustainable farms and Blackbelly is helping to support our local farmers in a way that will promote the movement toward Localism. Blackbelly Butcher is now a breakfast and lunch spot but also, as you may have gleaned, a fully functioning butcher. Head to the back counter to choose from a huge variety of unique and traditional cuts and you can also place orders for the more uncommon products. Blackbelly Butcher is open weekdays for breakfast from 7-11 AM and from 11 AM-3 PM for lunch. Limited weekend hours are forthcoming. Blackbelly has also taken steps to make your summer more enjoyable by providing some really exciting packages so that you can master your own Butchery and Grilling Skills! Stop by or call to inquire! A Bacon Making kit: Learn the tricks from the masters. Included in the $55 kit is a hefty four pound trimmed square cut pork belly, a custom designed Blackbelly Bacon Rub and Instructions card to create your very own block bacon at home. Or sign up for the Blackbelly Butcher Meat of the Month Club: for $99 you get a month membership that includes each month a ½ pound custom terrine, one pound of House Sausage, two pounds Blackbelly ground beef, two pounds dry aged steaks and your choice of custom rub or marinade for your meat. Pick up is at the butcher shop on the first Wednesday of the month and comes with a Blackbelly Cooler Bag. Finally, stop into the butcher and pick up the Griller Package: for $65, it’s two pounds ground beef, two pounds house sausage, a marinated half chicken and 1 quart Blackbelly Pesto Macaroni Salad. All perfect to put together a great grill at home. All images courtesy of Shannon Hudson Photography.